It can soothe a troubled mind and calm a rebellious gut, but a remote Nepalese forest community has discovered another unlikely use for camomile -- it scares away unruly rhinos. The ethnic Tharu people who live beneath the southern foothills of the Himalayas have been plagued for generations by the one-horned rhinoceros, which ventures onto their land, trampling crops and sometimes injuring villagers. Loath to use violent means to keep the endangered grazing species at bay, they discovered that planting the daisy-like camomile on the edge of the forest would ward off their nuisance neighbours, who hate the smell. "It works as barrier. Because of the peculiar smell of this unpalatable (herb)... it helps to stop wildlife from entering farmland. It works not only for rhinos but also other herbivores," said Suman Bhattarai, of the Partnership for Rhino Conservation, which helps Nepalis live side-by-side with the rhino. The Tharu are said to be direct descendants of Buddha and to have lived for centuries in the forests of the Terai, a narrow strip of land which extends for 900 kilometres (550 miles) along the southern border of Nepal. Their innovative use of camomile has seen the tribespeople of Suryapattuwa village shortlisted for the BBC's $20,000 World Challenge Award 2011, which rewards enterprise helping to maintain sustainable local communities. "Animals from the nearby buffer zone area of the Bardiya National Park used to enter our farmland and destroy huge amount of crops. We started this work with support from the national park and WWF Nepal," community leader Mangal Tharu Yogi told the Kathmandu Post. While large herbivores baulk at the pungent odour, camomile is used to treat a wide variety of human complaints, including indigestion, heartburn and vertigo. Bhattarai said tribespeople who might not be inclined to spend time growing a crop they cannot eat should think of selling it as a herbal remedy as well as using it as a deterrent. "But in Nepal, people are not getting these multiple benefits," Bhattarai told AFP. "It is (only) being grown for 'fence' purposes in some areas in order to reduce crop raiding." Thousands of greater one-horned rhinos, also known as the Indian rhinoceros, once roamed Nepal and northern India but their numbers have plunged over the past century due to poaching and human encroachment of their habitat. The population is recovering after a dramatic plunge in numbers during the 1996-2006 civil war, when soldiers deployed to prevent poaching left to fight a guerrilla insurgency. Wildlife experts spent a month earlier this year conducting an exhaustive survey and counted 534 rhinos in Nepal's southern forests -- 99 more than when the last such study was carried out in 2008. Conservationists say much of the credit should go to local community groups set up to protect the wildlife, which brings much-needed tourism income to an area where most people still scratch a living as subsistence farmers. 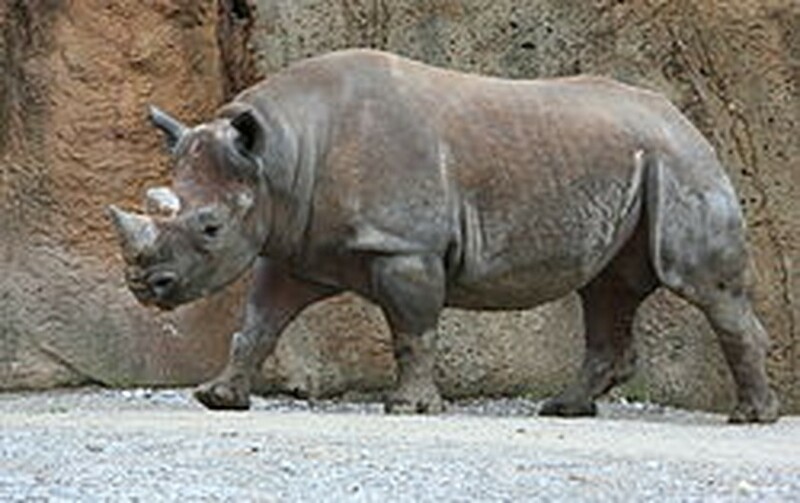 The animals are poached for their horns, which are prized for their reputed medicinal qualities in China and southeast Asia. A single horn can sell for tens of thousands of dollars on the international black market, and impoverished Nepal's porous borders, weak law enforcement and proximity to China have made the country a hub for the illegal trade. Rhino poaching in Nepal carries a maximum penalty of 15 years in jail.